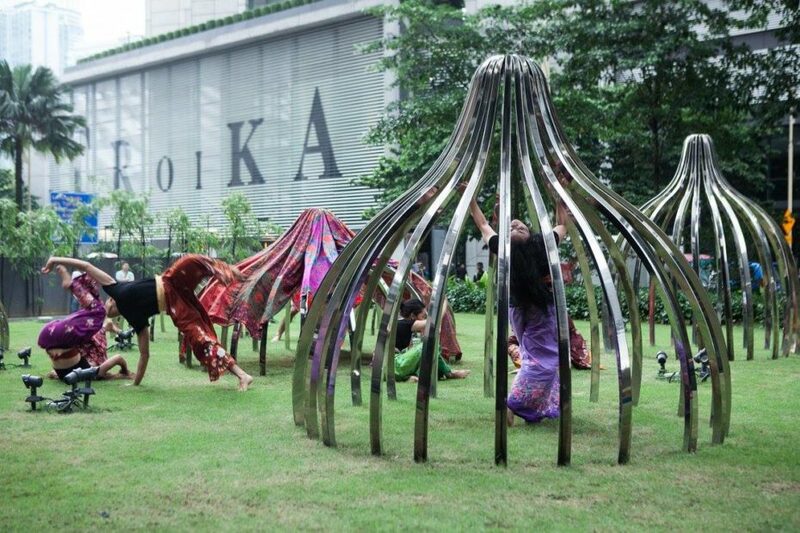 Dance in response to Pinaree Sinpatak’s Breast Stupa Topiary. Image courtesy ILHAM Gallery. ILHAM Gallery sits like a secret jewel box in the black-ice exterior of Menara ILHAM, where it has played host to celebrated artists and conceptual experimenters since it opened its doors in August 2015. Today, it is working at the frontline of arts education through an eclectic selection of multimedia exhibitions and public programming. The gallery is run by a team led by Gallery Director Rahel Joseph, who was brought on by art impresario Valentine Willie, also ILHAM’s Creative Director. Joseph and her small band of curators and managers have staged some of the most relevant exhibitions in recent memory, drawing on themes of identity, politics and education in order to interrogate Malaysia’s history of social turmoil and development. Installation shot of ‘Love Me in My Batik’ exhibition at ILHAM Gallery. Image courtesy Ilham Gallery. Time and history have played central roles in the last four exhibitions at the gallery where they have been used as framing devices in order to interrogate the relationship between art and its environment. 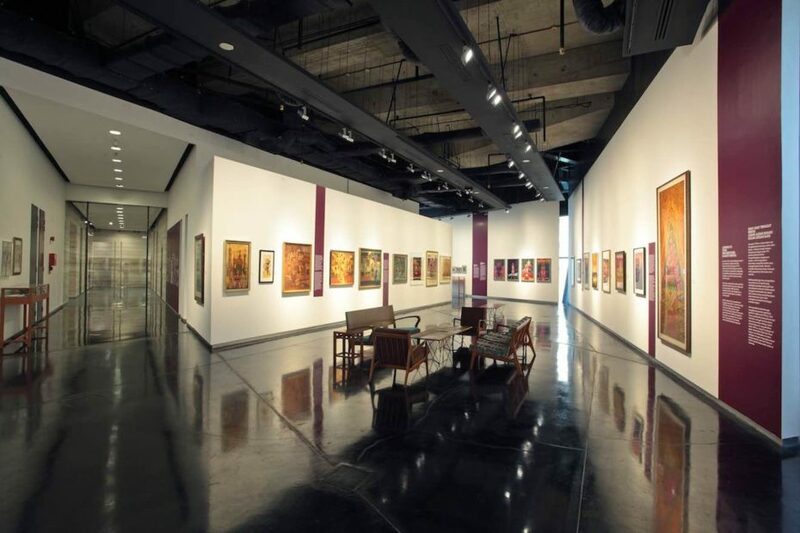 The long shadow of former Prime Minister Tun Mahathir Mohamad spreads across ‘Era Mahatir’, while the ‘Gerak, Rupa, Ubur dan Penyataan’ retrospective is playful with modernist flourishes. 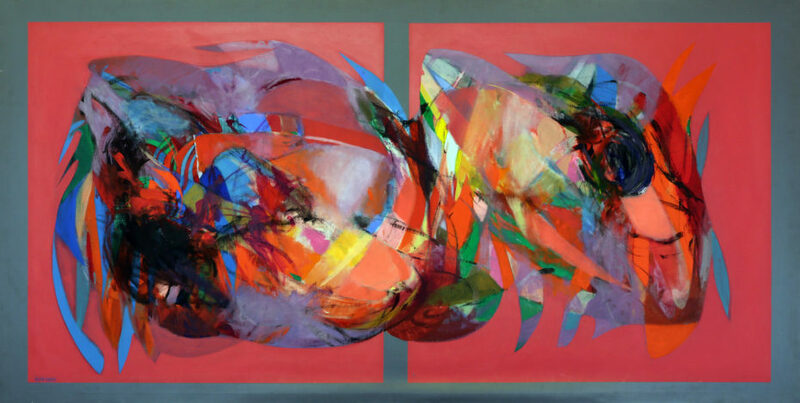 Ibrahim Hussein, ‘Red and Purple Interludes’, 1973, acrylic on canvas, 128 x 251cm. Image courtesy ILHAM Gallery/Muzium & Galeri Tuanku Fauziah (MGTF) Universiti Sains Malaysia (USM). Last year, the gallery launched its ambitious two-part ‘ILHAM Contemporary Forum Malaysia 2009-2017’ project which brought together seven curators from varied backgrounds to put together a show of works by artists of the present. The gallery was filled with a rotating menu of curiosities, including sketches, collections of soil traded for the contents of a pocket, and Liew Seng Tat’s kampong house. The forum was much less art historical than the exhibitions before it, but was in its own way a startling display of the power of public collaboration. The project produced a recognisable sense of the present and the personal expressions of collective history. Inside the ‘ILHAM Contemporary Forum Malaysia 2008-2013’. Image courtesy ILHAM Gallery. 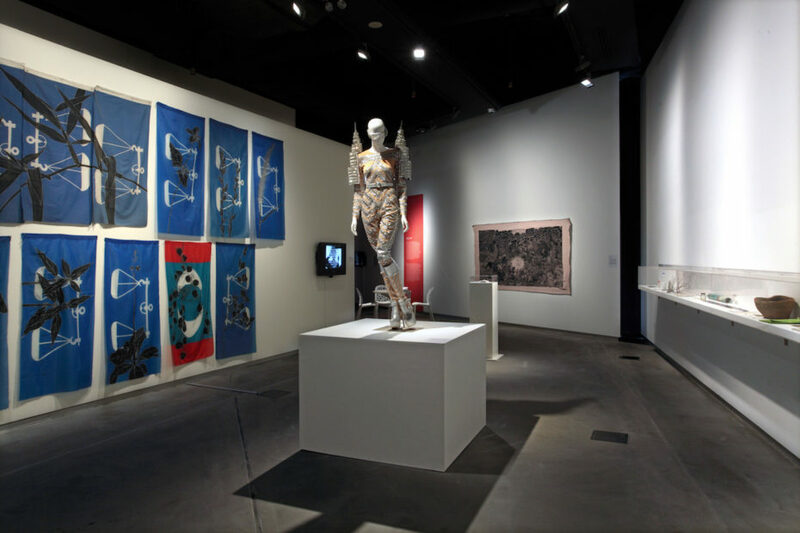 ILHAM gallery’s reputation as an advocate for public access remains a distinct hallmark in an artistic landscape populated by commercial showrooms and events. That spirit endures through its ambitious public programming efforts. In 2017 alone, the gallery organised more than 50 events, including theatre, dance and music performances, academic lectures, book launches, and even an architectural symposium. 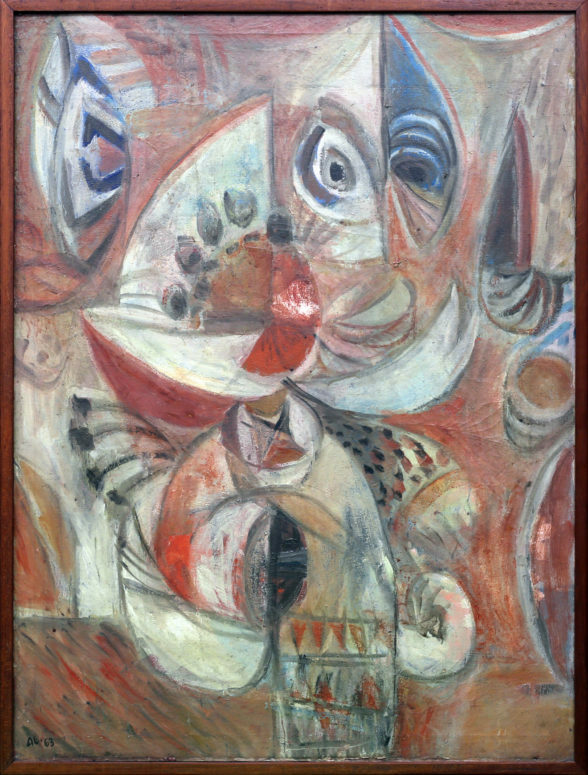 Latiff Mohidin, ‘Imago (Berlin)’, 1963, oil on canvas, 82 x 62cm. Image courtesy ILHAM Gallery/Muzium & Galeri Tuanku Fauziah (MGTF) Universiti Sains Malaysia (USM). 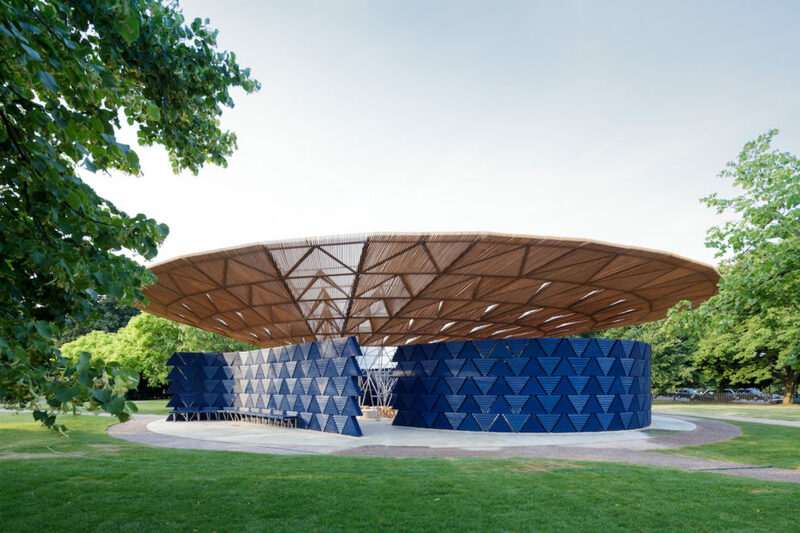 Serpentine Pavilion 2017, designed by Francis Kéré. Serpentine Gallery, London (23 June – 19 November 2017) © Kéré Architecture. Image courtesy Iwan Baan. The gallery is also taking itself to task to cement Malaysia’s place in the greater Southeast Asian artworld through a clutch of events planned for the coming year. Following the success of ‘Afterwork’, an exhibition imported from Hong Kong’s Para Site, ILHAM will be embarking on partnerships with the Maiiam Contemporary Art Museum in Chiang Mai, Thailand, as well as the National Gallery of Singapore. This article was written by Samantha Cheh for Art Republik 18.